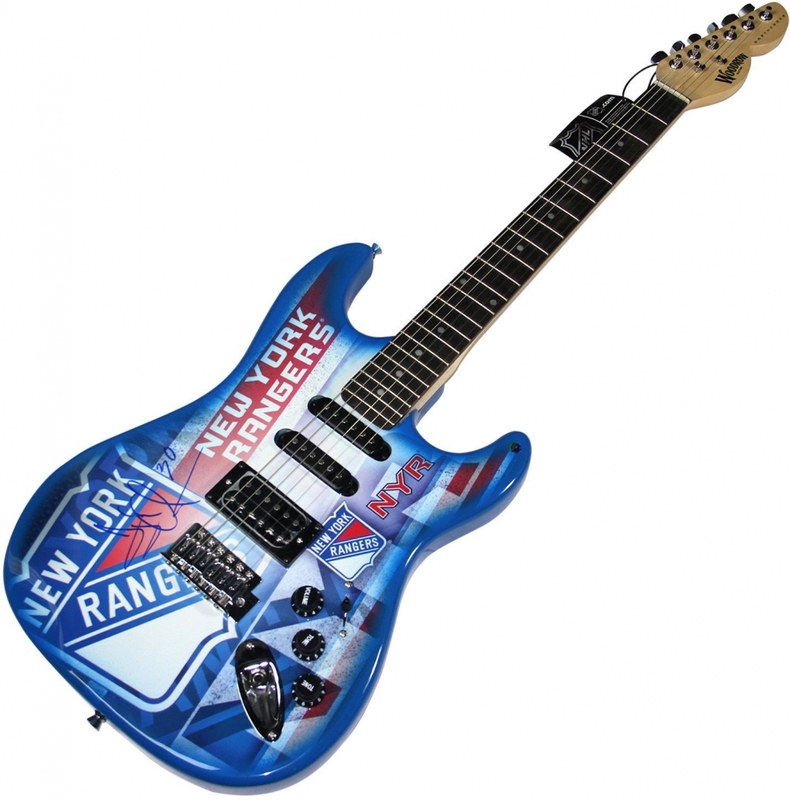 New York Rangers full-size Woodrow electric guitar has been hand-signed on the body in blue felt-tip pen by Henrik Lundqvist. Lundqvist currently holds the record for most wins by a European-born goaltender in the NHL (405 as of August 13, 2017). His dominating play during his rookie season resulted in the New York media and Rangers fans giving him the nickname "King Henrik." During the 2006 Winter Olympics in Turin, Italy, he led the Swedish men's team to their second Olympic gold medal.